So I was all excited to write this spring-time post, and then you know what happened? Winter. It’s back. Legit flurries flitting around like I should be happy to see them. Go home flurries, you can’t sit with us! And now the weathermen are telling me it’s supposed to be 67 degrees tomorrow. A 30 degree difference from today. The world is going to implode! But before the Mother Nature-pocalypse commences, perhaps we can get in one more Fit & Fashionable link up? What say ye? Ok so, I still haven’t swapped my winter wardrobe for my spring summer gear. My cute flats are still neatly tucked away under my bed while my boots taunt me from the closet and my pastel clothes are slowly getting gray with dust on the top shelf. HOWEVER! I am determined to to start dressing like it’s Spring even if I’m still in Winter clothes. How? By convincing myself that dark colors are in-season! I don’t care if all the fashion pubs say browns and blacks are a no-no in the spring time. They’re neutral colors, and I’m sticking to them. The trick, though, is to pair dark colors with lighter colors. Brown goes nicely with white. It also pairs really well with light pinks and torquoisey blues. It’s still been too cold for flats, but I’m slowly trying to trick Mother Nature by going from my tall boots to booties. Slowly but surely the booties will transition to flats which will transition to sandals! Anywho, if you’re sticking with dark colors, play up the shade variation, like pairing dark brown pants with caramel colored shoes! Dark jackets are also always in style no matter the season. I’m sure that’s Vogue-blasphemy (fash-phemy?) but I’m sticking by my love of brown and black bomber jackets. A baby blue leather jacket just doesn’t carry the same level of badassery. After all that, do a sun dance (not the film festival, sun dance as in the opposite of a rain dance) and pray that Spring will spring and stay for good! Dark colors in Spring. Yay or nay? Learn how to rock them and join the #fitnfashionable Friday LINK UP! Random side note: Don’t forget to check out Maureen’s blog today for the #RockYourCore tummy friendly recipe of the week! Alright my spring chickens, time to link up! 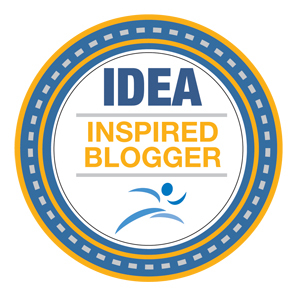 Snag the badge for your blog and please check out the full link up rules here. Do you rock dark colors year ’round? Is it Spring yet in your neck of the woods? Favorite color to wear in Spring. GO! We are still transitioning, but it has been much warmer this week than last. We still had some 30’s last week. Love the browns. I wear then year-round as well. Thanks, Julie! I’m glad I’m not alone with the browns! You don’t get much Spring up where you are so you’re allowed to wear whatever the heck you want! Cute outfits! I always wear dark colours to work, black and grey just seems to go with everything 🙂 Can you do a post about spring/summer clothes for us business causal office workers? I seriously have no idea what to wear these days! That’s a great idea! I’d love to do a post on that. Stay tuned! Mary Beth Jackson recently posted…Spring fashion with Stitch Fix! I do! My toes just want to be free! I’ts so hard to dress this time of year with all of the temperature fluctuations. I especially find the shoes to be a challenge. Ugh yes! My boots have gotten a workout and they need a break. The weather is crazy for sure. I hope your cherry blossoms are coming out this weekend! You rocked this outfit! I love it and I do have so much black I really need to branch out some, but it is a staple in my closet. Winter or summer. Love your cute outfit! I am so sick of my winter gear as well! I am itching to year my skinny jeans a cute top and some sandals as well. I am still wearing my tall boots and it feels so wrong. I did buy some new booties as well, although I may need a few more pairs! I so can’t wait to wear skirts, tanks and sandals, doesn’t Mother Nature know she is holding up our fashion?!? seriously, mama nature! Give us the spring so we can whip out our sandals! You are soooo cute. And those shoes?? NEED THEM!! It was spring for a couple of days here but now we’re back to winter and my fleece socks are on. I think you kind of have to stick with the wintery gear until the weather shapes up. agreed! The weather keeps tricking me, though. It looks like spring and I put my coat away and then all of the sudden, I need to take it back out again. I hope mother nature gets the message that it’s spring soon! I wear lots of black with BOLD colors for spring. I save my darker tans for fall. I’m not sure if that’s cool or not? I’m old. I’m rocking 90’s hair today! I bought a pair of cute non-athletic sneakers to get me through this transition time. I’ve insisted on flats a couple times but my feet froze in the mornings. Let’s petition mother nature for no more frozen feet! I wear dark colors all year round. I do wear bright colors too, but black is a staple in my wardrobe. I think being a woman of a certain age, I can get away with those dark colors.. The weather really just needs to choose one season at a time. Its so difficult when the temperature keeps jumping back and forth! Cute! I actually pulled out (and wore) a pair of sandals the other day and my toes were so very cold. C’mon, spring, I’m ready! Hear that, Spring? We’re ready for you! Come and get us! Quote of the day: A baby blue leather jacket just doesn’t carry the same level of badassery. haha well one day when they’re old I hope you venture back into lighter colors, too! It definitely felt like spring here in New Hampshire today and we sure are ready! I love dark colors year round although can’t wait to ditch the winter clothes! Sandra Laflamme recently posted…The #50WomentoKona Movement and gender equality in sports.